A couple of weeks ago I bought some pumpkins from a garden center. One of the pumpkins was a pie pumpkin, which is the kind of pumpkin that you can puree and eat. I didn't want to just eat the pumpkin by itself, so I asked Lara for a pumpkin recipe I could try. This is the recipe she gave me. They were delicious! I couldn't get enough of them and thought they would make for a perfect Christmas morning breakfast! 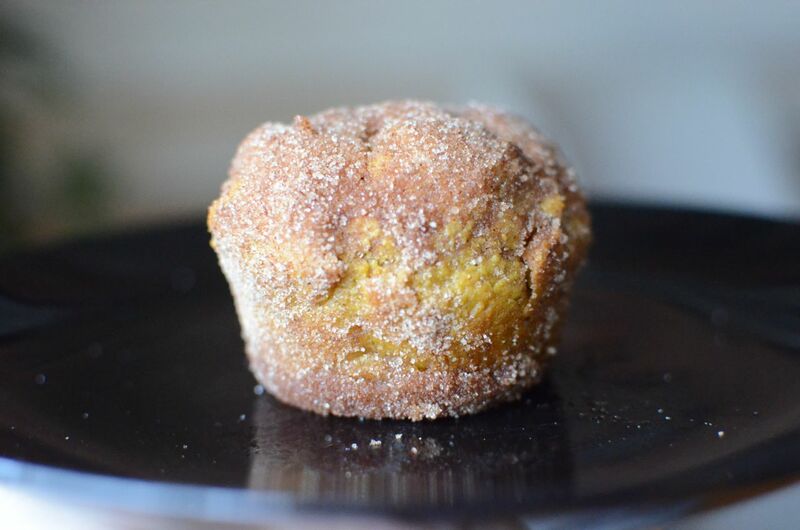 They're a little dense, but moist and delicious...especially fresh and hot out of the pan! My roommates and I couldn't stop eating them. Preheat oven to 350. Butter and flour 12 standard muffin cups. Make batter: In a medium bowl, whisk together flour, baking powder, baking soda, salt, nutmeg, and allspice. 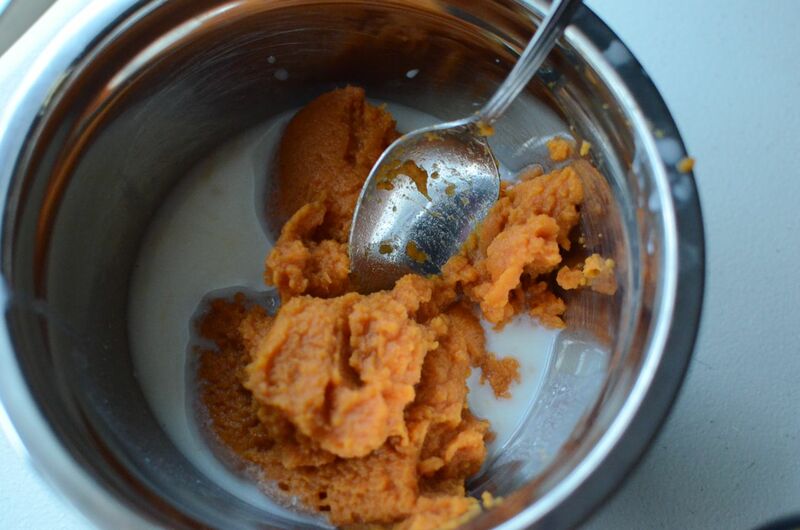 In a small bowl whisk together buttermilk and pumpkin puree. In a large bowl, using an electric mixer, beat butter and brown sugar until light and fluffy. Beat in eggs, one at a time, scraping down bowl as needed. With mixer on low, add flour mixture in three additions, alternating with two additions pumpkin mixture and beat to combine. Sign up on the right for free email updates or follow along with our Facebook page! Do you think I can add chocolate chips to them? i love pumpkin and chocolate chips. 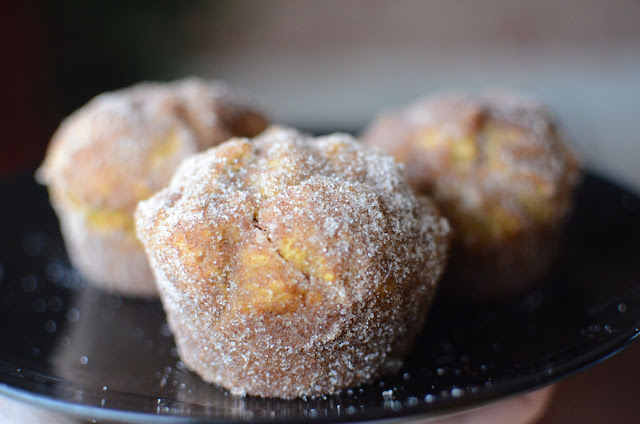 Yum, I may make these for Christmas eve-I love all things pumpkin! These look really yummy. Will make them for breakfast soon. I think mini-chocolate chips would be excellent in these muffins! You'll have to let me know when you try them!